There were only 2 rounds played so far and it's still very beginning of the Regular Season in Serie A. The fans could enjoy quite many interesting games in the last round. The round ended with derby games, favorites losing the games and games ending by tiny margin. Here is the last round review presented by ESL. Gladiadores defeated Acereros at home 71-64. Acereros will have a break next week, which should allow them to rest in order to get back on the winning path. 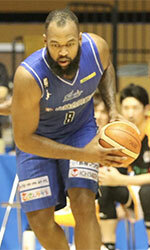 Gladiadores will try to continue on its current victory against Margarita on the road. Broncos (1-1) recorded a loss in Valencia. Visitors were edged by Guerreros (1-1) 66-65. Guerreros will play against Atleticos in Caracas in the next round and it will be for sure the game of the week. Broncos will play at home against Recicladores and it may be a tough game between close rivals. A very close game took place in Tucupita between Margarita and Buffalos. Margarita (1-1) got a very close victory on the road over Buffalos (0-1). Margarita managed to escape with a 3-point win 109-106 in the game for the third place. Margarita will meet at home Gladiadores in the next round and it will be for sure the game of the week. Buffalos will play against Cangrejeros in Maturin and it may be a tough game between close rivals. Another interesting game was a derby match between two teams from Caracas: Atleticos (#1) and Comuna (#4). Atleticos (2-0) won against visiting Comuna (0-2) 73-64. Atleticos' next round opponent will be Guerreros (#3) in Valencia, which may be the game of the day. Comuna's supporters look forward to another derby game next round, where their team will face at home their local rival from Caracas Diablos. The game in Caracas was also quite interesting. Recicladores (2-0) played at the court of Diablos (0-2). 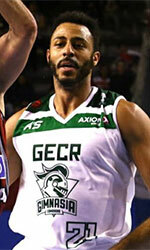 Recicladores managed to secure a 8-point victory 85-77 on Saturday. Recicladores will face Broncos (#4) in Caracas in the next round. Diablos' supporters look forward to an exciting derby game next round, where their team will travel locally in Caracas to the arena Comuna.